Our weekends have been fairly quiet. It has been great and this weekend I had a lot of home projects that needed to get done. In the process I found a new handyman who is very willing to learn and get things done. I heard him giving his little brother directions also which is a good training program in our home! This summer I bought this little dressing table for our bedroom. 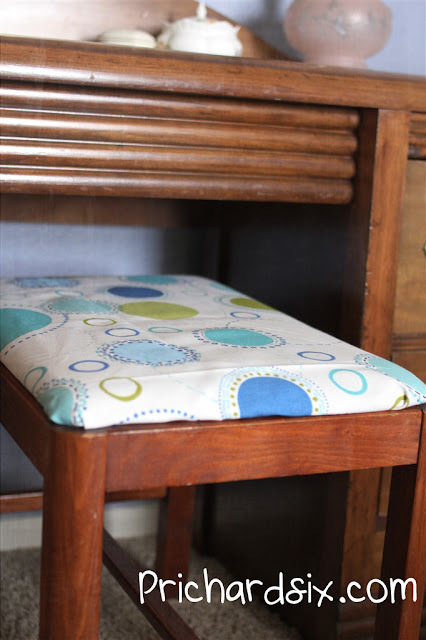 It is old just the way I like furniture and has become a favorite place for the girls and I to get ready. However, I wasn't digging the old fabric on the stool. Wanted it to say me...so here is me! 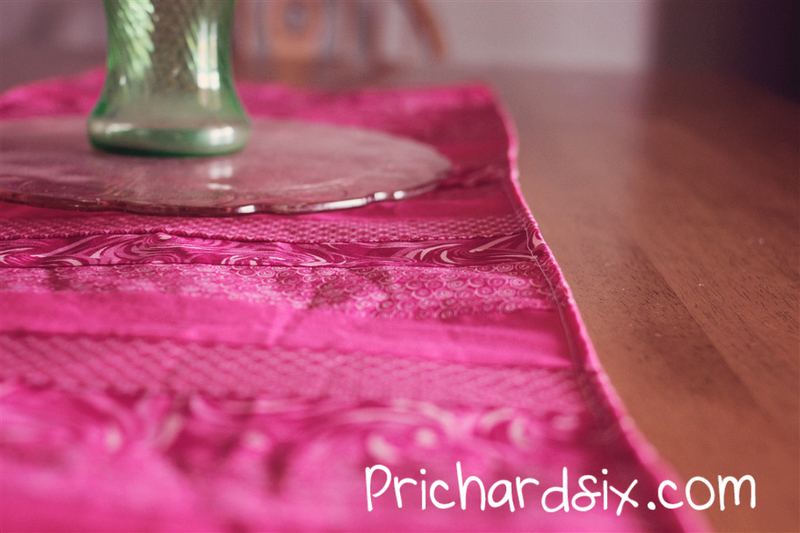 I am not a seamstress by any stretch but I had to try to make us a new table runner for February. So here we go. Believe me this is not at all that pretty..good thing I can manipulate my camera! 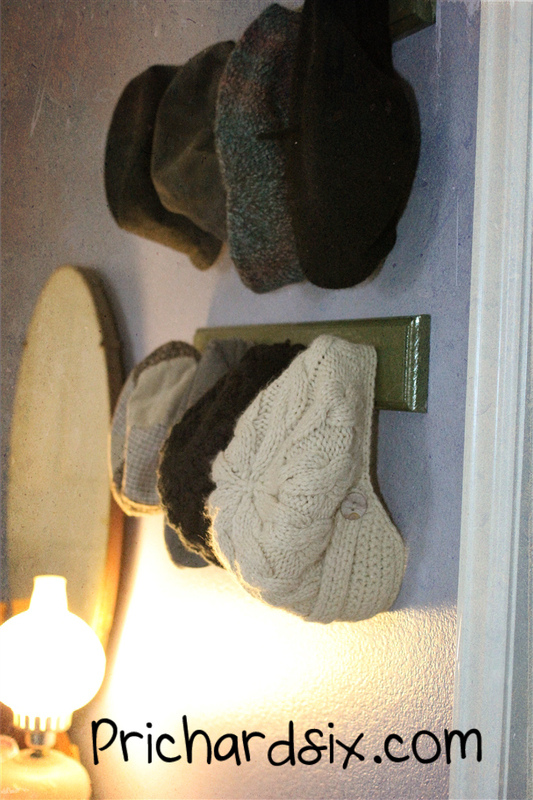 And lastly for today new hat racks...yes on our wall in our room. I am sure Brian is thrilled but I do love my hats! How productive! 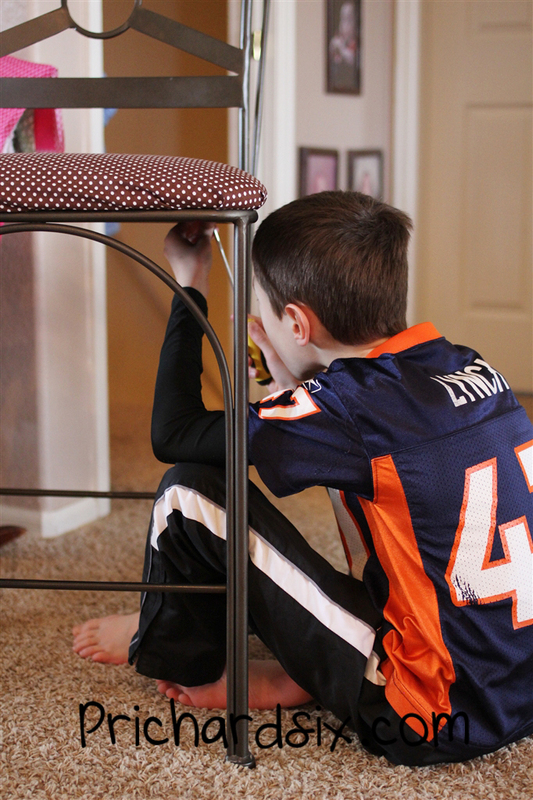 We love our quiet weekends, but somehow they still slip away with the projects undone.